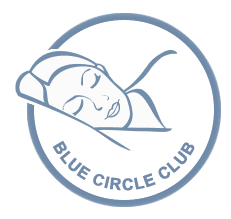 Welcome to the Blue Circle Club: Booking Bed and Breakfast accommodation online can be time-consuming and involved. The Blue Circle Club's primary aim is to bring Irish B&B Owners and their guests closer together and furthermore make the whole process of booking a B&B simpler, faster & fairer. Managed by the Ireland B&B Owners Association, it misses out the middlemen and places guests in direct contact with the B&B. Once a guest has registered with us, there is no requirement to enter personal or credit card details again. Our one click booking system will revolutionise the way you book bed and breakfast accommodation forever. Once you have selected your B&B and the dates of Arrival / Departure - make your booking with one click. This action begins the booking process, and you can then relax until an email arrives confirming your reservation. You can check the progress and status of your booking at any time by visiting www.your-booking.com. Members of the B&B Owners Association ALL include breakfast in their room rates. Generally, breakfast offers a choice of buffet or a cooked meal that's prepared to order. You may get the opportunity to taste freshly baked bread or tasty eggs from the owner's chickens. Special dietary requirements? please advise the owner when you book. Login to the members' dashboard and avail of the numerous features that help find your perfect accommodation - we even have a section on "Hidden Retreats" for those requiring quiet off the beaten track accommodation. You can save your favourite B&Bs, search by town or region, plan your itinerary and communicate directly with B&B owners. Check out the special offers and last minute deals and save money.